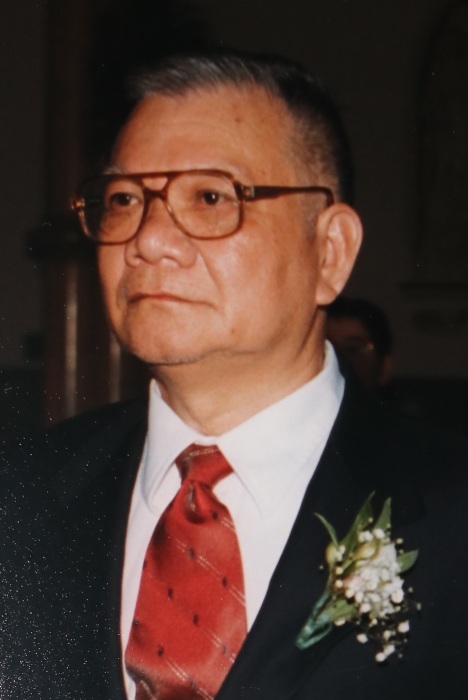 Obituary for An Ngoc Bui | Bermingham Funeral Home, Inc.
Dover: An passed away peacefully on August 28, 2018, surrounded by his family. He was 84 years old. An was born in Ben Tre province in Vietnam on October 31, 1933 the son of Bui Kim That and Nguyen Thi Vien. An married his wife Ha in 1969 in Saigon. They were blessed with five children, all successful engineers, medical professionals, and business executive. An was a dedicated teacher in Vietnam for many years before immigrated to the United States in 1981. He did not have the opportunity to continue teaching as his profession back in Vietnam, but his love of writing, reading, and learning never stopped. He taught himself many languages by reading and researching on his own. He instilled in his children early on that having a good education would provide more opportunities for a successful career. He was a very proud father when it comes to his children’s success and accomplishments, but at the same time he was humble and modest when chatting about them with his family. An is survived by his wife, Ha Pham. Lauren (Khanh) Medley and her husband, Richard. Long Kim Bui-Le and her husband, Chau. Hanh Jakubaszek and her husband, Jakub. Toan Khanh Bui and his wife, Elizabeth. His grandchildren: Jillian and Adriana Medley, Katelyn, Christian, and Matthew Le, Miquela, Gianna, Adam, and Melania Bui, Megan and Jena Jakubaszek, Elise and Brayden Bui. He also had many brothers and sisters, nieces and nephews and a host of students and admirers all over the world. Visitation will be held 5-8pm on Friday August 31, at the Bermingham Funeral Home, 216 S. Main St., Wharton. A Funeral Mass will be held 8:00am on Saturday at St. Mary’s Church in Wharton.